James Perry, Christoper Face and Dawn Radke have been declared dead from drowning following the tragic events of January 2011. THREE people swept away during south-east Queensland's catastrophic floods have now officially been declared dead from drowning. 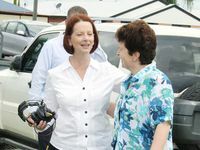 The State Coroner has delivered his findings into the drownings and suspected drownings of 25 people in January, 2011. Michael Barnes told Brisbane Coroners Court that "unusual climatic conditions combined to inundate Toowoomba and the upper Lockyer Valley with an intensity of rainfall rarely seen". 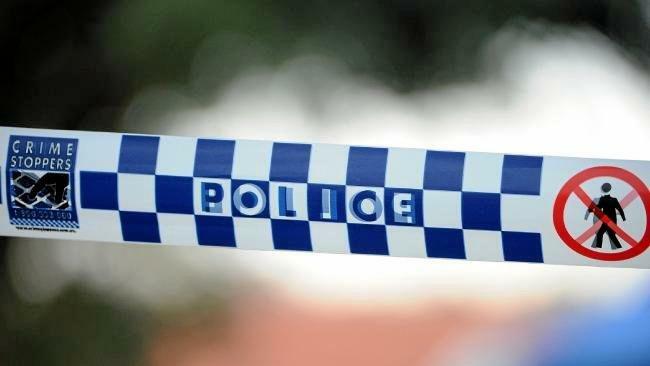 Mr Barnes found James Perry, 39, died while returning home to Toowoomba from the Gold Coast along the Warrego Highway. His vehicle was swept from the highway by flash flooding and he succumbed to the fast flowing and turbulent waters. Mr Barnes found Christopher Face, 63, died when his house collapsed under flash flooding, and Dawn Radke, 56, died when she was swept from her house by the force of the water, both in Grantham. Their bodies were never found, but after 18 months Mr Barnes declared the three had died from drowning. "Amongst the sorrow, loss and suffering there were also acts of noble courage, compassion and dedication to duty," he said. "There were numerous instances of emergency services personnel, police officers, family members of those at risk and members of the public wading into flooded creeks, swimming out into swirling lakes, manoeuvring aircraft and rescue craft in highly dangerous settings, and working long hours. "There is no doubt, without these acts of bravery and commitment more lives would have been lost. "I commend those involved in the rescues and the rescue attempts." THERE is no evidence of a link between suicide rates and the horror inland tsunami that swept through south-east Queensland 17 months ago. 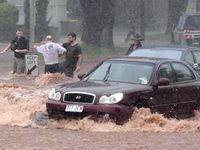 But State Coroner Michael Barnes said experts analysing data in the Ipswich and Toowoomba areas did find an increase in post-traumatic stress disorder, depression and anxiety among the survivors that could be linked to their flood experiences. He said he trusted relevant health services were aware and were responding to the problems. Mr Barnes said Prof Diego De Leo could not rule out the possibility that a significant relationship between the January, 2011, floods and increased suicide rates might develop over time. But he said there was no evidence the rate of suicide had increased in affected areas or that any suicides were directly attributable effects of the floods. 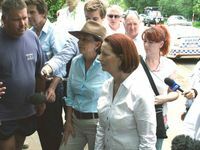 "The incidence of suicides in Ipswich had increased from 2010; conversely the incidence of suicide in the Toowoomba region had fallen in 2011 from preceding years," he said. "However, in both cases, Prof De Leo was clear that any changes did not represent a statistically significant trend." Mr Barnes had investigated the matter after a number of media articles had speculated about such a causal link in the region. "If such a connection actually exists, it important to identify its nature and extent so that appropriate public health responses can be mobilised immediately and planned for in future natural disasters," he said. 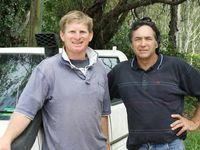 Professor De Leo, who is considered a world expert in suicide study, collated data to investigate the link from the most easily comparable natural diaster, the 1974 Brisbane flood, and others around the world. Anyone who needs support or information about suicide prevention should phone Lifeline on 13 11 14. Those affected by suicide, please phone StandBy Response Service on 0407 766 961. Donna and Jordan Rice: were occupants of a vehicle that became stranded in floodwaters in Toowoomba and was then washed from the roadway. 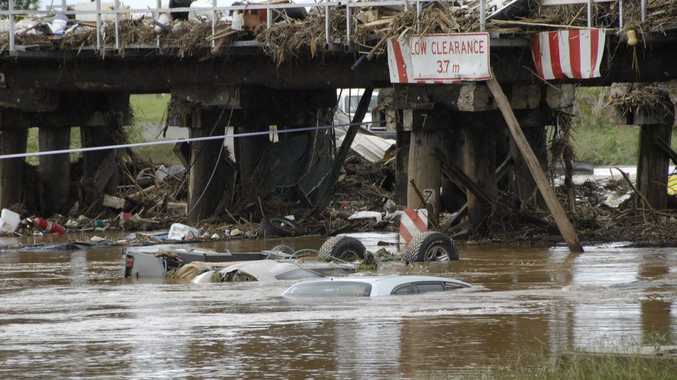 They drowned after being thrown into fast-flowing floodwater. Sandra and Steven Matthews: were heltering from flash flooding in their home at Spring Bluff when a wall of water smashed through the house and swept them from it. They drowned after being submerged in the floodwaters. Katie and Selwyn Schefe: father and daughter were occupants of a house at Murphys Creek that was inundated by flash flooding. After they escaped into the tray of a utility vehicle, it began to float and was taken by the current. They drowned after being thrown from the vehicle as it was washed downstream. Sylvia Baillie: the sole occupant of a house at Postmans Ridge that collapsed and was swept away by a wall of water during a flash flood. The force of the water was such it is likely she drowned a short time later. Bruce Warhurst: was the sole occupant of a house at Postmans Ridge that was swept away by a flash flood. The force of the water was such it is likely he drowned a short time later. 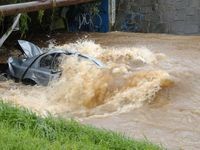 James Cole Perry: was the driver of a vehicle that was swept away by flash flooding from the Warrego Hwy at Helidon and into a wide expanse of flood water. In an attempt to avoid fallen powerlines Mr Perry, his wife and child entered the water and were swept downstream. Although his wife and child survived, Mr Perry drowned in the fast flowing and turbulent waters. Dawn Radke, Pauline Magner and Jessica Keep: were occupants of a house at Grantham that was inundated with fast-flowing floodwater. 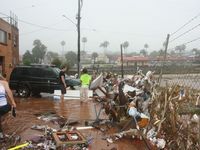 Mrs Magner and Mrs Radke were swept from the house by the force of the water and submerged. Lily-Ann Keep died when she was wrenched from her mother's arms as she struggled through a ragging torrent to carry her child to safety. All three died from drowning. Garry and Jocelyn Jibson and Llync-Chainn Clark-Jibson: were occupants of a truck at Grantham that was swept from the road and submerged by flash flooding as their husband/father was trying to drive them to safety. Each person died from drowning. Jean Gurr: was trapped inside a house at Grantham when it was inundated by water during a flash flood. Mrs Gurr drowned in the house. Bruce Marshall: was the sole occupant of a house at Grantham that was inundated by flash flooding causing him to become trapped and then submerged. Mr Marshall drowned. Reinskje Van Der Werff: was the occupant of a house at Grantham that was inundated by flash flooding. Her lack of mobility resulted in her becoming trapped in the house and submerged by the floodwater. She drowned in the house. Christopher Face, Brenda and Joshua Ross: were occupants of a house at Grantham that was inundated, collapsed and then washed away by a flash flood. It is likely each died from drowning a short time after the house collapsed. Jesse Wickman: drowned shortly after he was swept from the grasp of a QFRS swift water rescue officer at Minden while the officer was attempting to rescue him from the roof of a car stranded in rapidly flowing floodwater. Robert Bromage: was the sole occupant of a vehicle that became stranded in floodwaters at Karrabin. 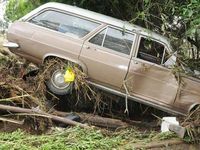 The vehicle was swept from the roadway and then completely submerged while Mr Bromage remained inside. He died from drowning. 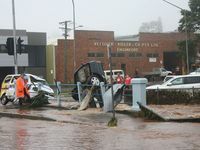 Robert Kelly: was the sole occupant of a vehicle which was driven into a flooded causeway at Brymaroo. He drowned when the car was swept off the roadway and inundated with water before he was able to escape. Van Toan Giang: drowned while attempting to swim across floodwaters covering a roadway at Willawong. He was unable to negotiate the water and became submerged.